My name is Amber Miller, also known as Smalls. I was born with the energy span of a cheetah and attention span of a squirrel. That being said, an active lifestyle has been the only choice since I graced the world with my presence. It started with gymnastics, led to soccer, and I also competed competitively in horseback riding. I was introduced to CrossFit through my best friend, Hodge, and the rest is history. 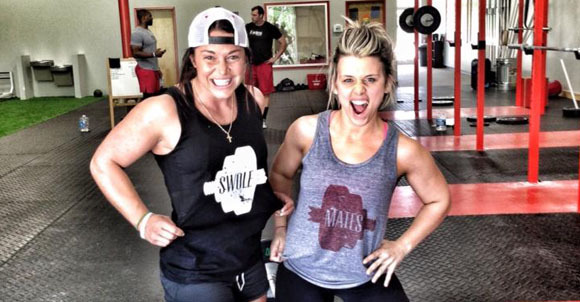 I have battled body image issues my whole life and since doing CrossFit, they have faded away. I am proud to be part of a community that puts emphasis on the weight on my barbell and not on my scale. My passion is nutrition and teaching people how to eat for the rest of their life, not just for a challenge. Outside of the gym, I work two jobs and I am a full-time student. I have an obsession with lululemon and feeling good about myself. I believe that I can have my cake and eat it too. I enjoy bacon, long walks to the fridge, and heavy lifting.